There's a lot that goes into prepping the perfect cup of coffee or tea. The coffee cup, lid, sweetener, creamer, stir stick, spoon and napkin are all important accessories. 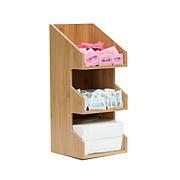 This super-handy unit includes separate compartments and drawers to keep them organized. No more rifling through cabinets or messy condiment drawers—just everything to make your morning routine a breeze. Now that's how you make the perfect cup! Holds my disposable cups and lips sugar, stirrers, plastic dinnerware, etc. It looks so good next to my Keurig, on my Origami bakers rack. Perfect coffee station addition. Love it. 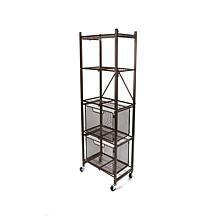 I use this for an organization I belong to and I can carry everything for coffee in one small organizer instead of trying to juggle everything in my arms. 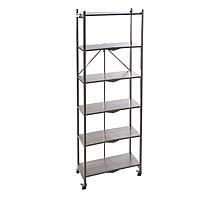 It is narrow enough to fit in the cupboard without taking up too much room. 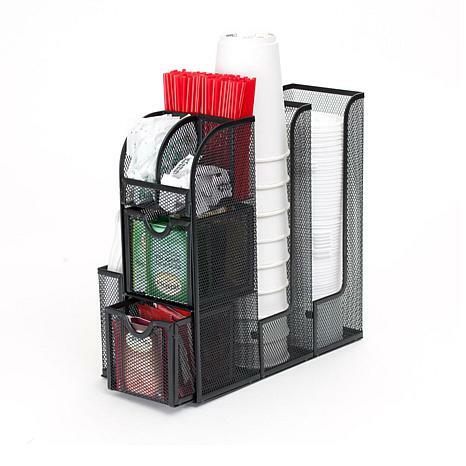 A wonderful way to organize your daily coffee/tea regimen. Great for entertaining as well. first one I ordered was fine...daughter wanted one....hers came bent I tried to return it but it was going to cost more to return than the item cost to begin with. Buyer beware!!! Beads, bits, notions and nibs ... store all of your little craft odds and ends in this essential rotating carousel! With 9 bins and a convenient design, you'll love all the ways this storage unit helps you stay organized while you craft.